Green is great in a salad but so is red - so here's to the red salad! Green is great in a salad but so is red - so here's to the red salad! Most of us think green is the salad colour, because lettuce and leaves have dominated planet salad for a long time. But it’s time to show some love for the red salad. It’s bold, it’s beautiful, it’s passionate and it’s beetrooty! Although not always beetrooty, red salads are so delicious – and only partly because they look so good. Use your imagination with these recipe ideas and combine other ingredients, add whatever you fancy or leave out what you don’t. There really aren’t any too many rules in salad land. 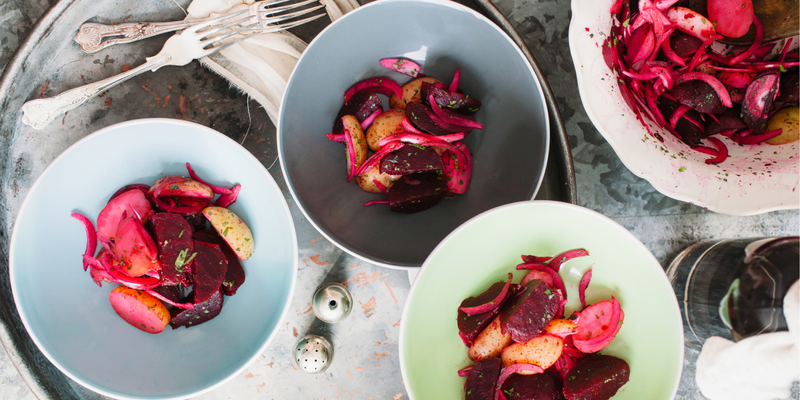 Our food editor’s recommendation: Roast a pack of Natures Garden beetroot & butternut roast. Let it settle to room temperature and then combine with butter lettuce, red cabbage, red onion, pistachio nuts and feta cheese. It’s time to show some love for the red salad. 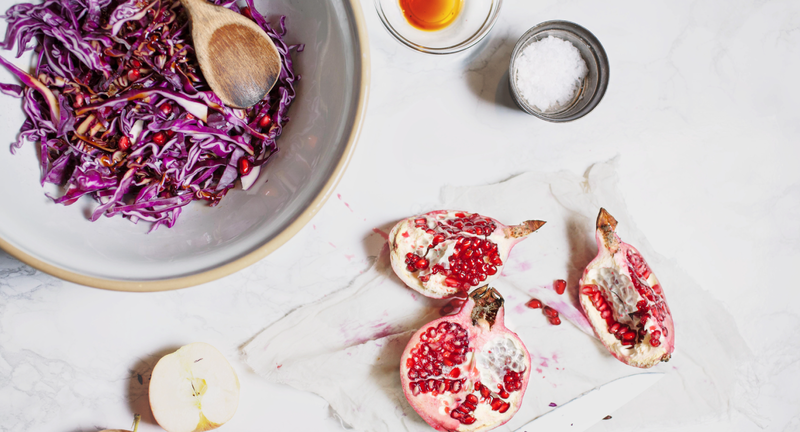 This red salad combines cabbage, red onion, apple and beetroot. It’s sweet and tangy and so different. This one’s exotic and spicy and cheesy, with red cabbage, dates, feta cheese, and sesame seeds. And this is a simple, tasty red salad with Brazil nuts, carrot and POMEGRANATE – our favourite!